Premium-class plane cabins in the future could look remarkably different should an innovative concept which sees first class suites elevated above other premium seats be adopted by airlines. 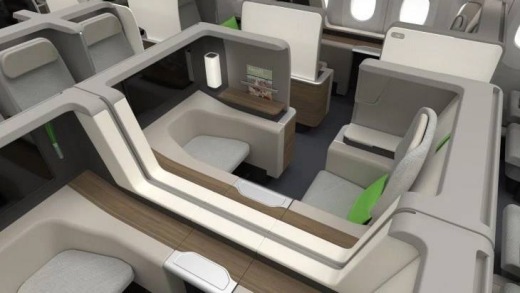 The hybrid first- and business-class cabin concept will feature lie-flat seats on floor level with a second level of lie-flat suites elevated above other passengers in a bunk bed-like formation, The Telegraph, London reports. 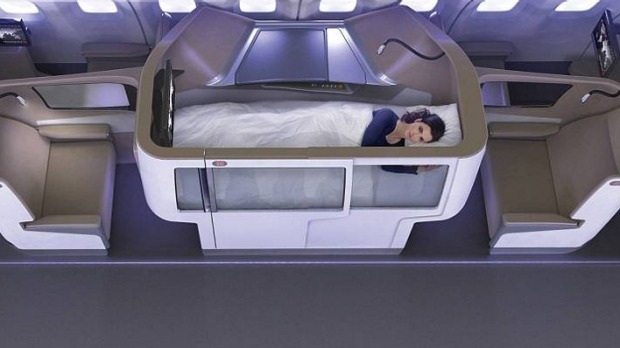 According to the concept's US creators Formation Design, the hybrid layout enables airlines to accommodate more passengers in premium cabins thanks to an overlapping design which sees the suite's bed overlap the foot of the bed below. 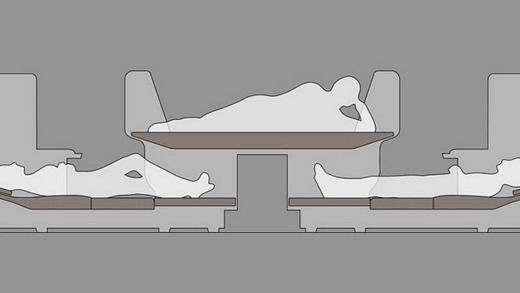 The proposed design also said offers passengers broader beds and more seats with direct aisle access. The cabin will contain the usual features passengers expect on long-haul flights, such as entertainment systems, but airlines would need to remove overhead cabin lockers to allow for the elevated suites. The new hybrid concept for a premium-class plane cabin is shortlisted for the Crystal Cabin Award, the only international award for aircraft interior innovations. Airlines including Emirates, British Airways and Singapore Airlines currently offer suites in their first-class cabins. With the launch of The Residence Class on Etihad in 2014, described as 'better than first class', competition among airlines has heated up to win over the most lucrative air passengers. Etihad's "The Residence" is a three-room private "apartment" that comes with a lounge area, bathroom and bedroom, and costs about $27,000 for a flight from Sydney to Abu Dhabi. Last year Emirates announced it would revamp its first-class seats to put a greater focus on privacy. Qatar Airways also has plans to create a double-bed cabin. Emirates was among nine other airlines including Etihad, Japan Airlines, Korean Air, Lufthansa, Qantas, Singapore Airlines, Swiss and Thai Airways named as the top 10 airlines with the best for first class cabins by AirlineRatings.com in 2015. Air France, Air New Zealand, All Nippon Airways, Cathay Pacific, Etihad, Japan Airlines, Qatar, Qantas, Singapore Airlines and Virgin Australia/Atlantic topped the list for best business class cabins in the rankings. Winners of the Crystal Cabin Awards 2016 will be announced April 5 in Hamburg, Germany.